Toyota has announced that it will launch a new Artificial Intelligence research and development company and the car maker is investing $1 billion in its new company. The new Toyota Research Institute Inc. (TRI) will have its headquarters in Silicon Valley near Stanford University, it will also open a second facility near MIT, this new company will launch next year. TRI will help bridge the gap between fundamental research and product development. Its primary mission is to accelerate R&D in a range of fields to help resolve society’s future challenges by using artificial intelligence and big data, thereby, contributing to a sustainable future where everyone can experience a safer, freer, and unconstrained life. 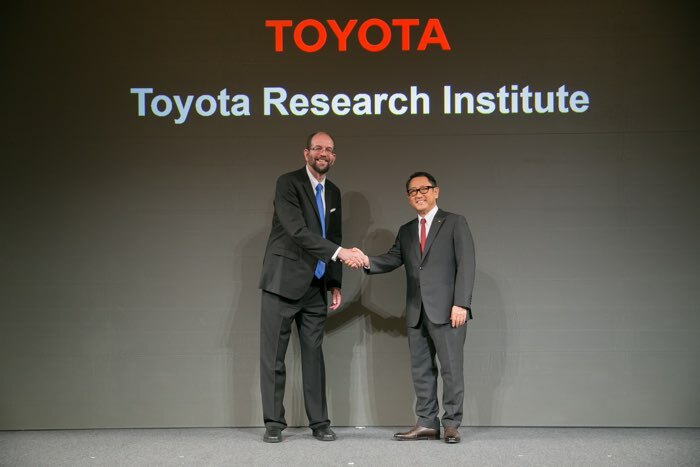 Directed by Dr Gill Pratt, Toyota’s Executive Technical Advisor and the Chief Executive Officer of the new enterprise, TRI will hire leading researchers and engineers to support its wide range of activities. You can find out more details about Toytota’s new $12 billion Artificial Intelligence research company at the link below.